David, Sonia and family welcome you to l’Ange Gourmand – a family-friendly environment where you can enjoy simple tasty gourmet meals, perhaps stay the night in the B&B, or spend an unforgettable holiday in the excellent gîte, or maybe just take a little after-lunch siesta in the shade of the plane trees. The mild weather is conducive to rest and relaxation in our 2 à 8 people gîte. With the views across the Alps, the Vercors and the Ardèche hillsides, you’ll soon forget any troubles and cares. 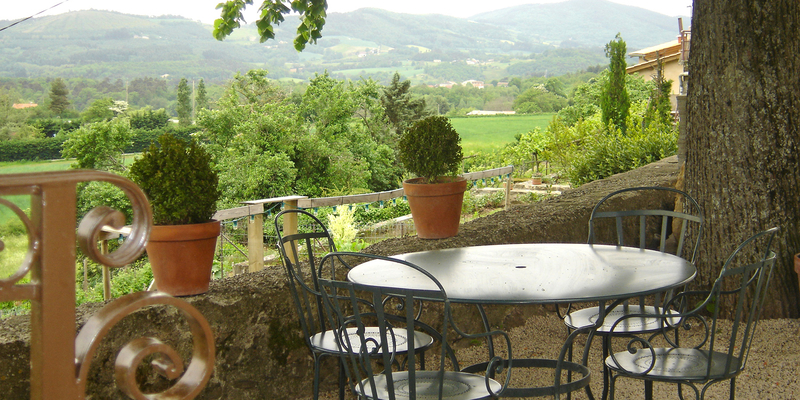 When the weather is nice, why not enjoy a meal on our lovely terrace overlooking the Vercors and the Alps (you can even see Mont Blanc on a clear day). Tables are shaded by a lime tree and a sycamore tree, both more than a century old, so you can eat al fresco in a gentle, cooling breeze, admiring the views. 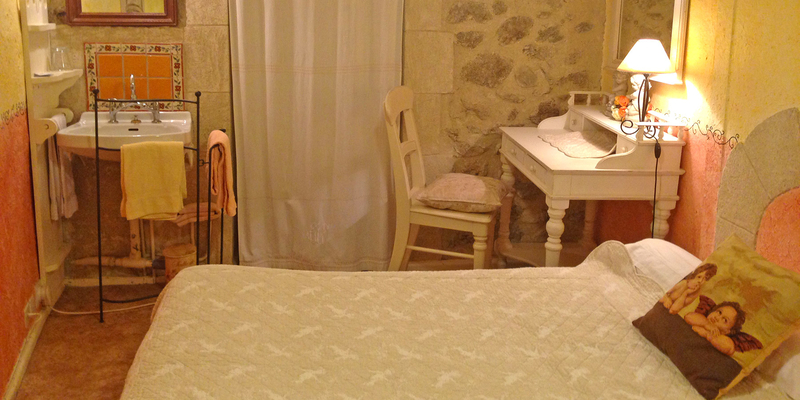 We have three bedrooms, each with their own character – Serenity bedroom, Angel bedroom, Romantic bedroom. Come and enjoy the quiet calm of the countryside, wake up to the birds singing and take breakfast on the panoramic terrace. 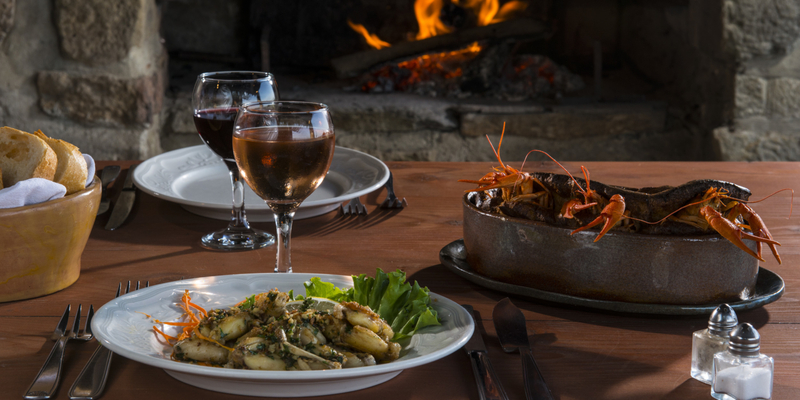 A traditional recipe handed down through the generations, our crayfish soufflé is a must for all gourmets! Please select a hosting type and your arrival date. 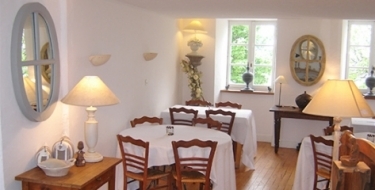 Pour toute demande particulière pour la location du gîte "le Clos de L'Ange" (réduction tarifaire possible pour 2, 4 ou 6 personnes) n'hésitez pas à nous contacter au 0475583189 pour effectuer votre réservation avec un tarif aménagé. 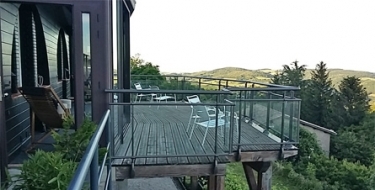 Four ‘castles’ made from chestnut wood will be built in 1.5 hectares of natural landscape on the side of a hill – especially for you to enjoy a different type of holiday in the Ardèche countryside, close to the Rhône Valley. 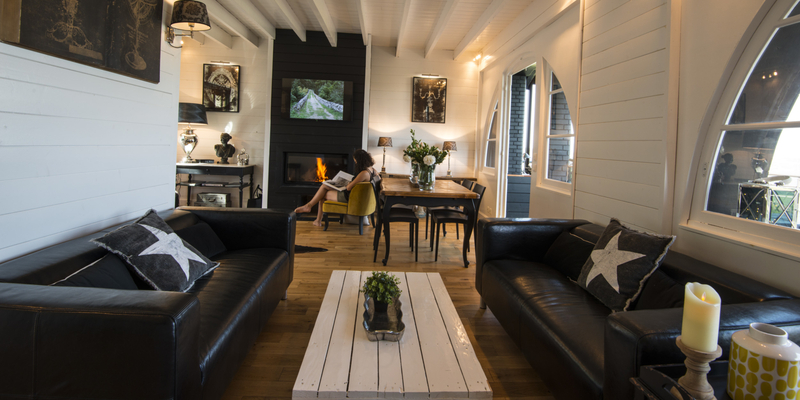 In the small hamlet known as La Bâtie de Crussol, l’Ange Gourmand invites you to come and enjoy a little of the Ardèche lifestyle. 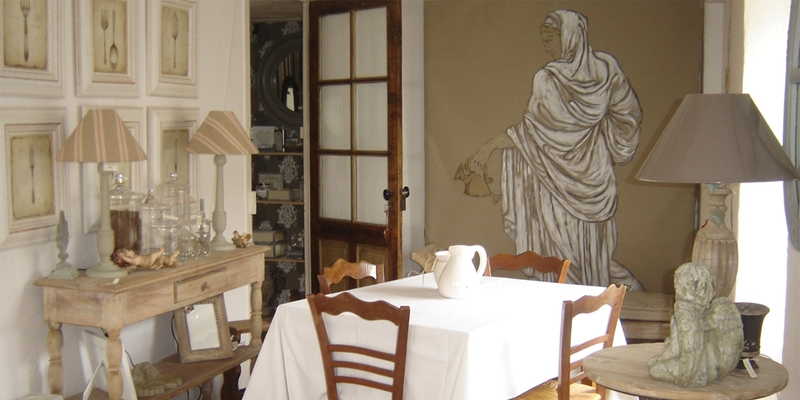 Three well-maintained B&B rooms that can accommodate from two to 10 people, a shop selling decorative objects, and a restaurant serving its famous prawn soufflé as well as typical Ardèche cooking. 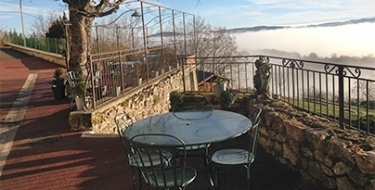 The hillsides and valleys of Ardèche provide the ideal getaway. The plateau opens out at just above 600 metres, interspersed with wild, majestic valleys, each ready to divulge its own beautiful natural landscape.